Okay, Kongo gets that serious birders will look down their beak in a scathing fashion about the notion of going birding at the zoo. And given that Kongo is just back from touring the Galapagos Islands where the birds were everywhere in the wild he admits that it is a bit of a let down to go to the zoo now although the San Diego Zoo happens to be one of Kongo’s favorite places and where else can you get a close up of a Hyacinth Macaw (above) and Metallic Starlings (read on) on the same day? So today Kongo took advantage of a May gray day (the marine layer is alive and well in San Diego now) with its wonderful diffused light to catch some bird shots at the zoo. 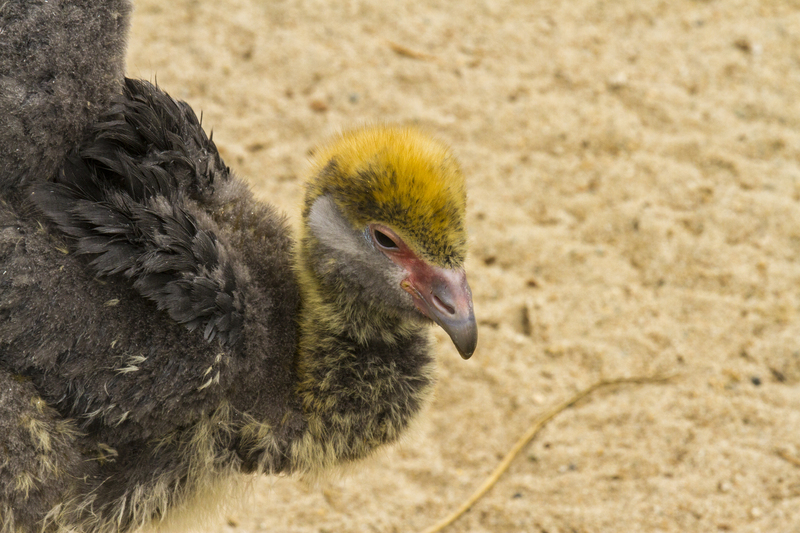 Normal zoo hours and weather conditions in San Diego often means you’re shooting pictures in harsh, mid-day sun. Not today. The overcast enabled the true colors to come out and shine! 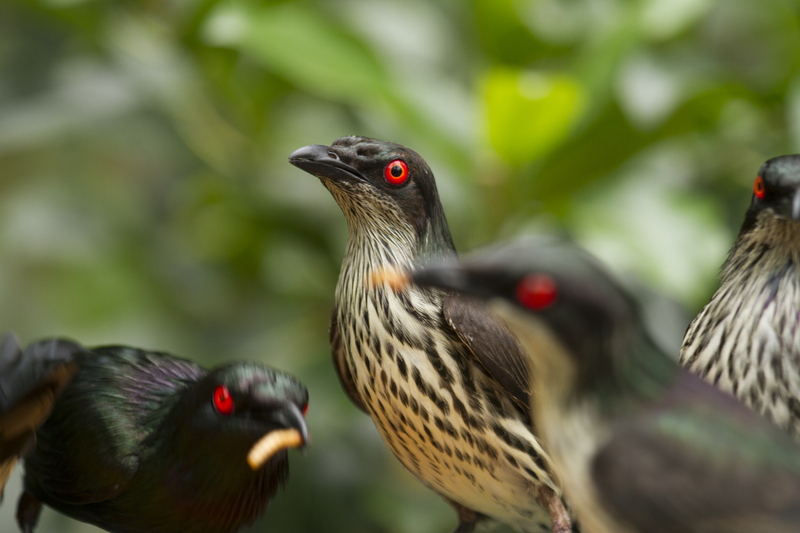 This group of Metallic Starlings from New Guinea were chowing down in the Owens Aviary. 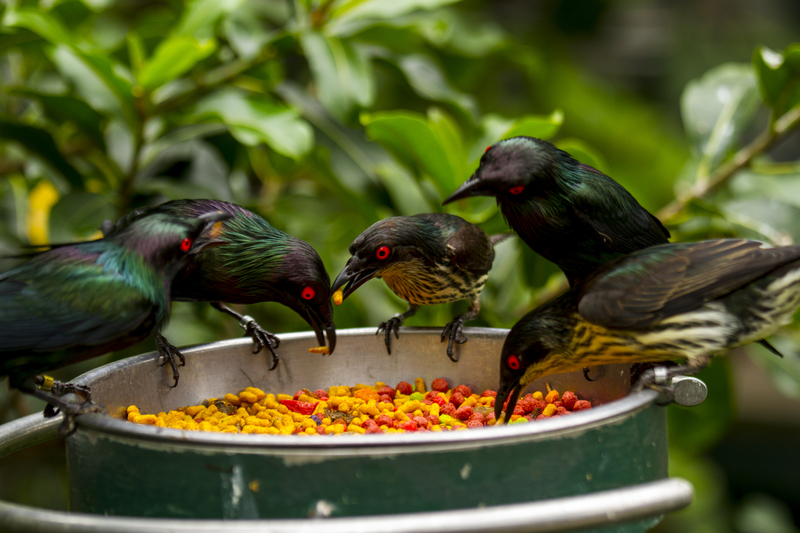 The adult birds are the dark colored ones with the beady red eyes. The juveniles have the striped chests. 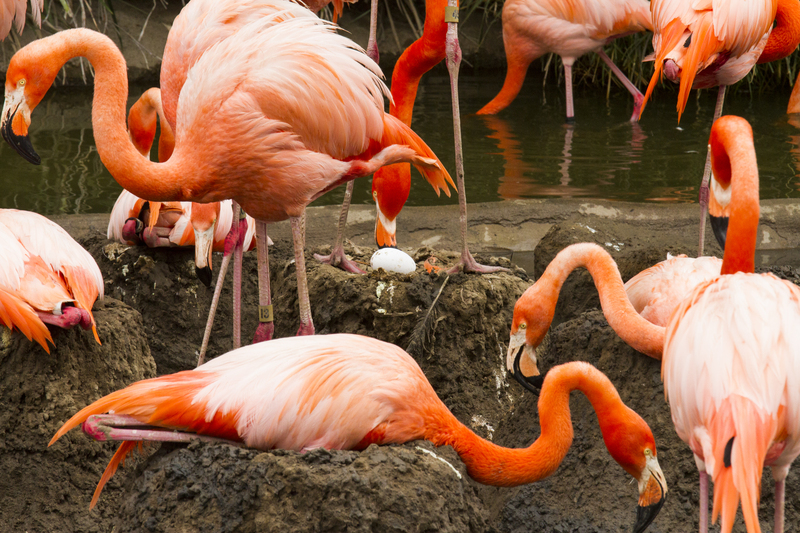 It’s nesting season over in the Flamingo Enclosure and dozens of mother birds were sitting on their newly built nests and guarding their eggs. There was a lot of squawking going on between the future mothers and Kongo isn’t sure whether they were arguing over parenting techniques or telling each other to back off. The Screamer chicks below were having a good time chasing ducks. 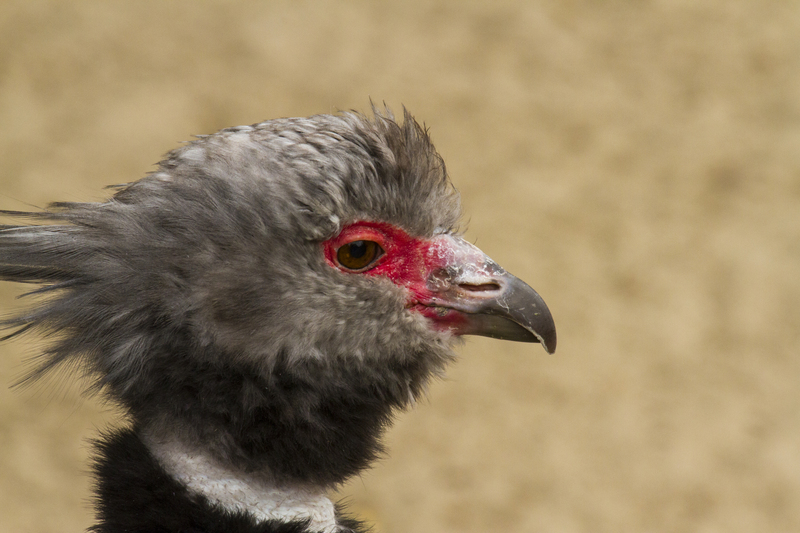 These birds that also live in the Flamingo Enclosure are the bad boys of the space. They make a lot of noise and mischief but generally leave the flamingos alone. The mother Screamer keeps a close eye on her two chicks. 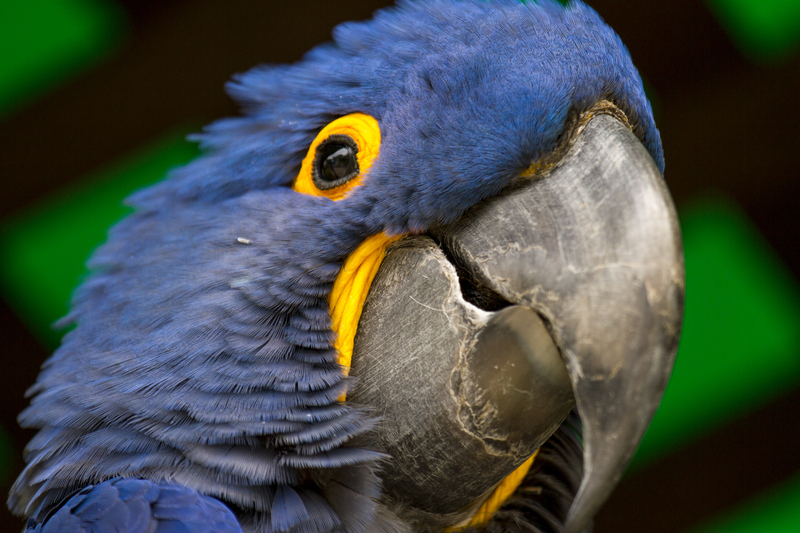 Finally, this stunning blue and gold Macaw exhibits almost the entire spectrum of the color wheel. Kongo is always amazed and what a great color designer Mother Nature is. So please forgive the monkey for “birding” in the zoo. Sometimes you have to make do. Thanks, Cindy. 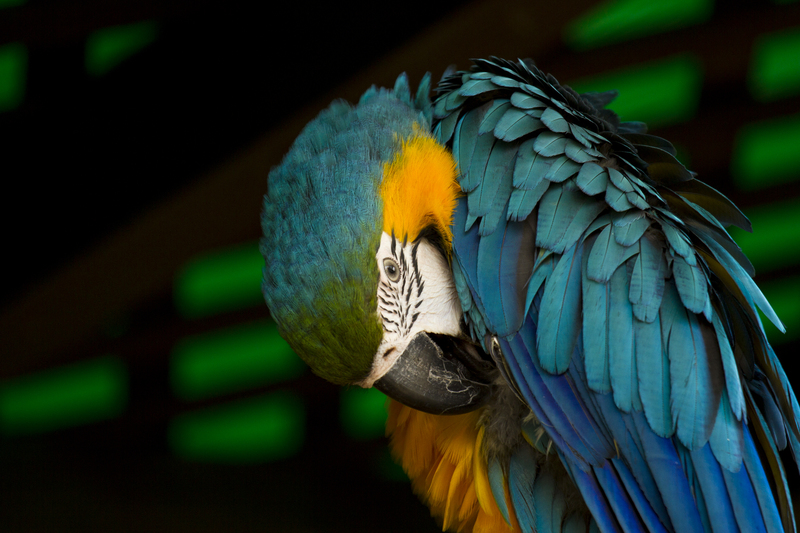 I recall a wonderful post you did from inside Owens Aviary on hawk headed parrots! I found that when I was searching the internet to remind myself the name of the metallic starlings. I had thought they were Asian Starlings (because almost all the birds in the aviary are from SE Asia) and found your post. Really gorgeous pics! 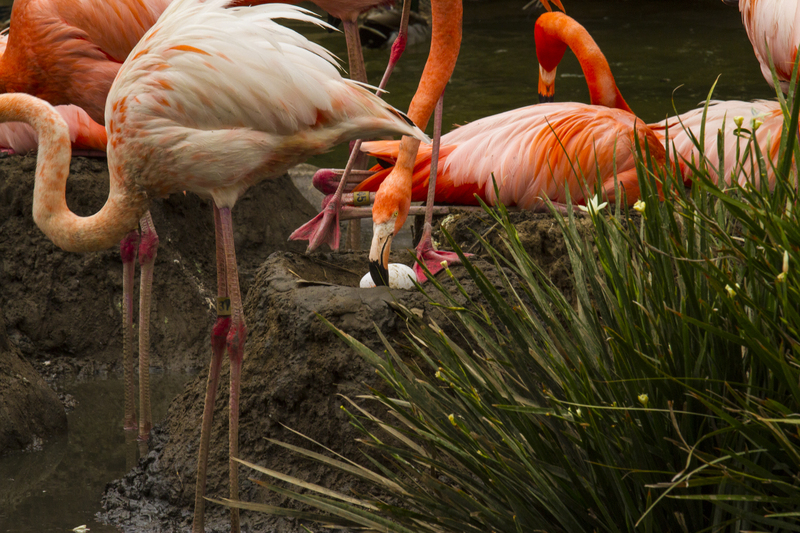 And I am always amazed at flamingo mud nests. Even when the zoo helps out by supplying the mud and the foundations, it is still an amazing sight to watch.